Advice Home > Childhood > What Is Early Childhood Intervention, And Should I Consider It For My Child? When an infant or toddler seems to lag behind others their age, parents naturally worry. After all, if the child is slow to develop, they may have special needs that need to be addressed. So, what can you do when your child seems to be having trouble keeping up with other children their age? It may be time to learn more about what it means to have an early childhood intervention. The definition of early childhood intervention is a range of services that are designed to help children age 3 and younger reach developmental milestones or deal with specific health concerns. The goal is to reach the children at a young age, so they will be ready to thrive in school and life. In the U.S., early childhood intervention services are provided by each state. Children receive these services free or at a low cost due to funding by grants from the government. The programs are based on the Individuals with Disabilities Education Act (IDEA). Where Is ECI Done And How Long Do They Last? Early childhood interventions can be done in the home, in classrooms, or in a learning center designed for such programs. Typically, children stay in ECI until they reach age 3. However, some states continue the services after the third birthday. If your child needs special education services, they will be started immediately after the early childhood intervention is over. What Role Do The Parents Play? 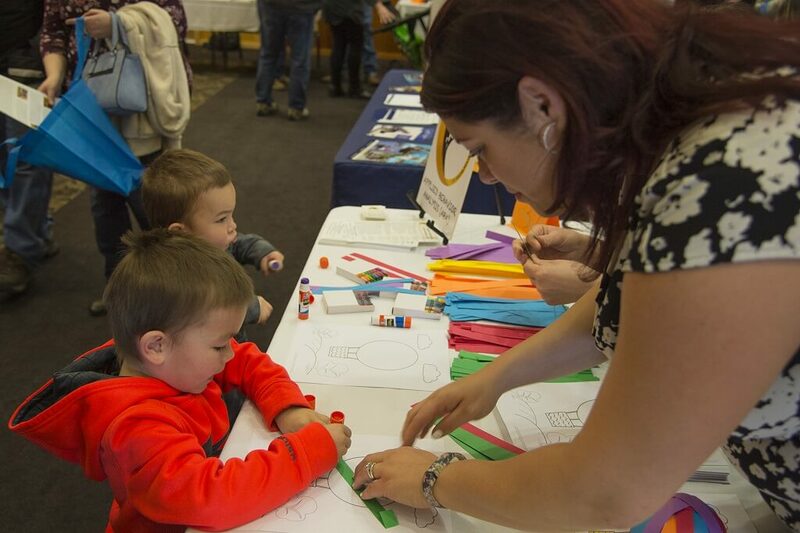 The family plays an important role in early childhood intervention. ECI specialists involve the family, and especially the parents, in the infant or toddler's developmental programs. They may teach the family ways to foster development. They may also provide outside resources to help the family meet the child's needs. What Types Of Services Are Included In The Intervention? What Skills Can Children Develop Through ECI? 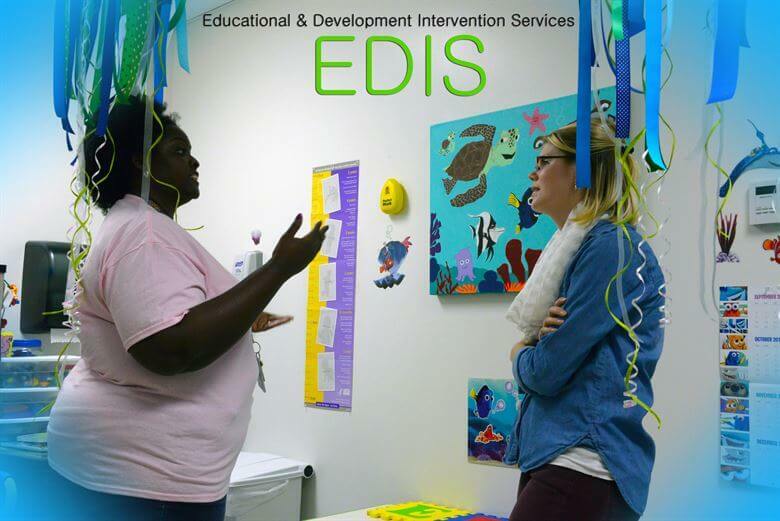 What Is An Early Childhood Intervention Specialist? If your child is accepted into a program, they will work with one or more early childhood intervention specialists. 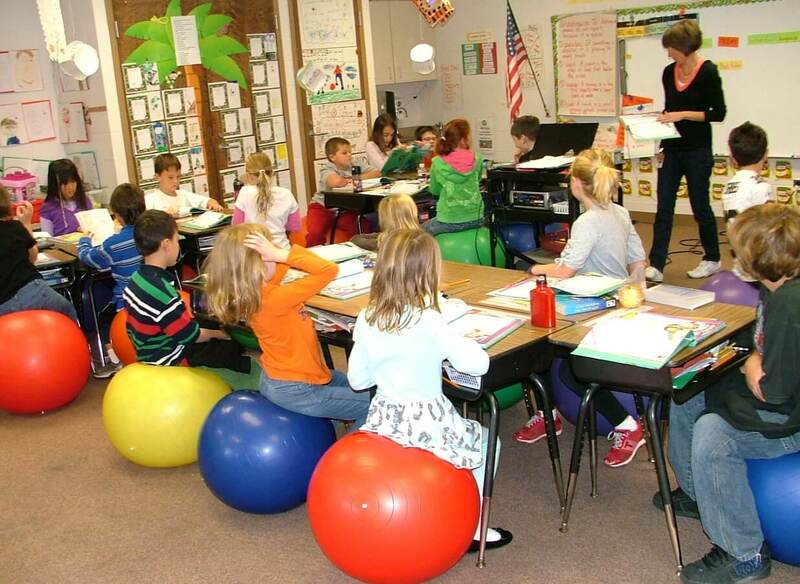 Early childhood intervention is a specific branch of special education. There are several types of ECI specialists. Speech and Language Pathologists - for help with speech, language, early literacy, feeding, and swallowing. Physical Therapists - for help with developing strength, balance, and coordination. Occupational Therapists - for help with fine motor skills, sensory processing, and play skills. Psychologists - for help with behavior, mental health, learning disabilities, emotional regulation, and developing relationships. Nurses - to asses the child's health and give advice on medical issues or to follow a treatment plan from a doctor. Nutritionists - for help with diet and feeding issues. Audiologists - to provide hearing tests and hearing aids or lip-reading training if needed. Social Workers to assess social development and provide resources. Developmental Therapists - to create learning activities and situations that can foster the child's thinking, learning, and social development. Vision Specialists - to provide vision assessments or teach eye exercises. What Is An ECI Assessment? The first step in finding out if your child needs early childhood intervention services is to go in for an ECI screening. The screening is a quick assessment to determine whether further assessment is needed. An example is a questionnaire that the parent fills out. Pediatricians or pediatric nurses usually do screenings. Teachers can also screen them if they are in early childhood education programs. If the screening indicates that your child might need some help, a more detailed assessment is recommended. if specific problems are noted in the screening. For example, if the child seems to have speech problems, a speech pathologist does an in-depth assessment of that one area, typically spending an hour or more to find out the specific details about your child's abilities. What Are The Important Child Development Milestones? The child development milestones are behaviors that nearly all children do at a specific point in their lives. The body and brain typically develop at a rate that is roughly the same for most children. 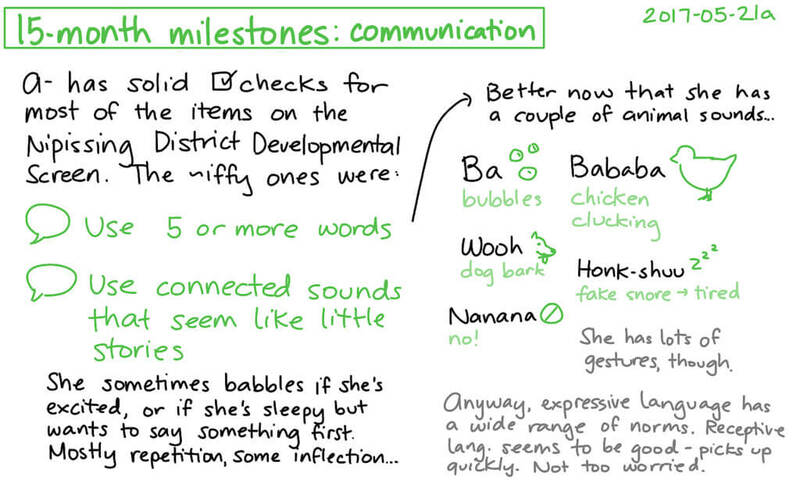 Knowing what the milestones can help you recognize how well your child is developing. You can find a complete list of these milestones at the Centers for Disease Control and Prevention (CDC) website. At each of the child development stages, the child will behave in specific ways. For most children, the stages correlate with a specific age. If your child's development doesn't match the milestones for their age, they may be having slow development that needs to be addressed. The developmental milestones include social and emotional behaviors, language and communication, thinking and problem-solving, and physical development. For example, a child who can sit without support at the age of six months is right on schedule for that developmental milestone. There is naturally some variation in ages, but they are only slight. If your child is eight months old and still not sitting up without support, this can be a case where early childhood intervention is needed. Is Early Childhood Intervention Right For My Child? It's very hard to know whether your child needs an intervention or not. After all, you see them every day. You may be pleased with everything they do, enjoying every little moment with them, just happy to have them in your life. Or, you may be a worrier, constantly concerned about their health and development. It's just hard to be objective about someone so young, so dear, and so needing care. Still, somehow, you must find the answers to your questions. Are My Child's Problems Too Mild For Intervention? If you're wondering whether your child's developmental problems are serious for concern, remember that the screening is a very short process. You can find out very quickly whether there's cause for concern or not. Your child will be given a full assessment if the screening shows cause for concern. You don't have to be the one to determine if there's a problem, and if so, how serious it is. Let the professionals discover where your child's needs lie. Is My Child Too Old For ECI? If your child is younger than three years old, they can get help from early childhood intervention services. If your child is three or older, you can still have them assessed. Depending on your state, there may be other services available to your child if developmental problems are found during the assessment. In any case, they can get resources through special education when they go to school. Will My Child Benefit From An Intervention? Early childhood intervention specialists are trained to work with young children in ways that will help them develop faster and in healthier ways. If an assessment shows your child needs help, the specialists can supply the specific help they need. Any child with developmental issues can benefit from ECI. The benefits may stay with your child for the rest of their life, too. In one study, subjects, where were in early childhood intervention programs in the first five years of life, had better health, cognitive skills, school achievement, higher grade level attained, higher earnings, and lower rates of criminality up to 30 years later! What If I'm Still Unsure? The decision to take your child into early childhood intervention specialists for screening and assessment can be a difficult one. Some parents feel like it's an admission of inadequacy to reach out for help outside the family. Others are fearful about introducing their infant or young child to people they don't know. If you've never been involved with early childhood interventions before, you may find it hard to give it a chance. Yet, as a loving parent, you want to do what's right for your child. What can you do if you just aren't sure whether to start the process or not? You can start by talking to others whose children have been through ECI. Talk about the situation with close friends who know your child well. If you need further advice or just want to say the things you don't feel comfortable talking about with friends and family, you can talk to a counselor. Licensed counselors are available at BetterHelp.com to help you learn more about childhood development, weight your options, and find out how to manage the intense feelings that come with having a child who is ill or has special needs. With convenient, online therapy, you can regain your equilibrium and get back to the happy parts of parenting.